Montana R., second to right above, in Malaysia with her host parents and host sisters. Montana R., YES Abroad Malaysia alum, and Matti B., YES Abroad Thailand alum, were both recently featured in their local news media, discussing the lessons they learned and the perspectives they gained while studying and living abroad during the 2017-18 scholarship year. You can find edited excerpts from their articles below and the full versions at The Pueblo Chieftain and Forest and Bluff Magazine websites. We are always happy to see our alumni and their accomplishments featured in news around the country - great work, Matti and Montana! Mattison B. of Lake Bluff likes to joke that she was reborn in Thailand. “I was a baby at 17 years old,” she says, explaining how during her recent youth exchange experience, she had to learn to do everything in the Thai way — how to speak, how to eat her food, and how to dress herself. And like any “toddler,” she made a few mistakes. Once, she says she accidentally put on her school uniform skirt backwards, thoroughly confusing her host mother. Those unexpected moments included everything from driving three hours to Bangkok for her host sister’s taekwondo tournament to taking a traditional dance class (taught all in Thai, naturally). This new “go with the flow” mindset was a major change for Boveri, a self-proclaimed lover of plans and schedules. It’s also a testament to why programs such as YES Abroad are so important to a younger person’s development and education. “I had to participate in school and family activities; I had to be a good representative of my country. I was the only foreigner they had ever met, and the only example they had of Americans,” she says. While in Malaysia, my fellow YES Abroad participants and I "learned about the communities we were a part of, participated in religious festivals for three different religions, learned cultural dances and art forms, and learned to cook different dishes." 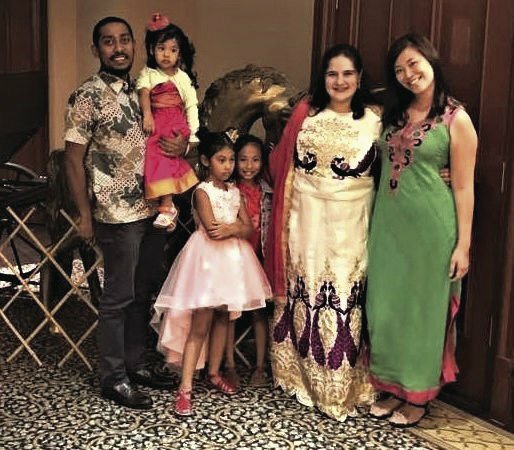 Settling in to a culture on the other side of the globe was not always easy, though: "It was difficult to adjust to Malaysian culture because of the fact that their culture is more conservative than within America. It's also more indirect. For example, if a person is angry, they will not tell you they are upset. They will not tell you why but they will just begin acting differently around you...[my year abroad] helped increase my ability to read body language. And it also taught me to be careful about offending anyone."